Adam Magyar uses advanced technology, much of which he builds himself, to ponder questions as old as time (or at least as old as art). Where did we come from? What are we? And where are we going? In Urban Flow, Magyar uses a film-strip camera similar to the kind used to record finish line results. 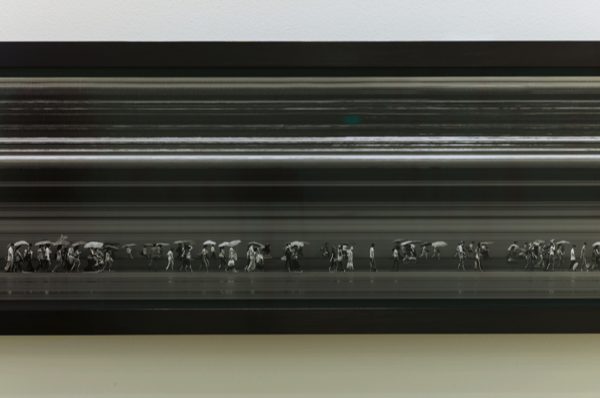 The people appear to be walking in a line “like beads on a string,” as the artist describes them, but the camera actually captures people in the same place at different points in time.